This is a busy week of holiday treats at my house! We try to acknowledge a wide range of holidays, and so far we've ushered in the Year of the Serpent on Sunday with long noodles and mandarin oranges, and Mardi Gras with a delicious king cake. My third-grader just read a book about Purim and is asking if we can try hamantaschen next week — and I still haven't decided how to mark Valentine's Day. 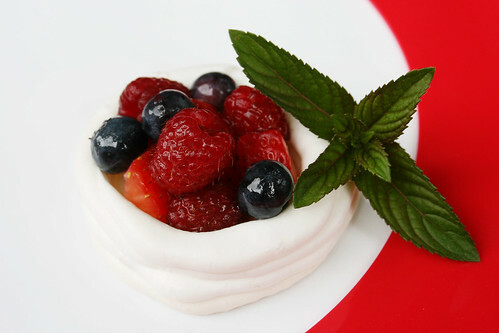 Berry-filled meringues? 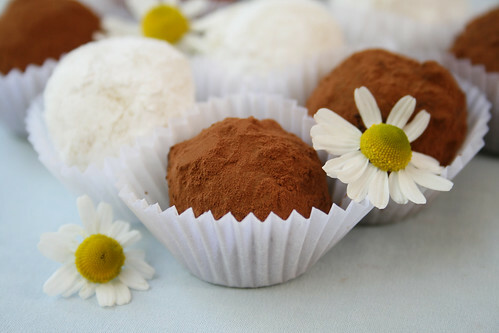 Homemade truffles? Brigadeiros? Bonbons? They sound fancy, but they're terrific choices when time — and energy — are in short supply. These sweets score big points for drama and presentation without much effort. They can be pulled together with a few ingredients you're likely to have on hand. First up: Rose Meringue Clouds, lightly sweetened edible baskets filled with fruit. This version calls for rosewater, but you can substitute almost any flavor extract you like. They don't take much hands-on time, but they do spend up to two hours in the oven. If you don't have fresh berries, grab frozen fruit from the freezer. If chocolate's more your thing, go for truffles: Melt cream and chocolate together, add extra flavoring if you want, chill, and roll into truffles. We've featured lemon chamomile, lavender, and rose variations, but even plain ganache truffles are swoon-worthy. Try a dash of peppermint or orange extract for something less exotic. Invite the kids to join you as chocolatiers! 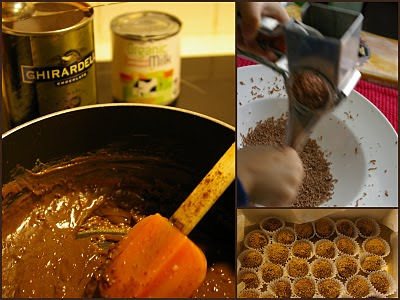 Brigadeiros have been a favorite of ours since Anna introduced them to us at a birthday party. Condensed milk + chocolate = addictive little candies! These take a few minutes on the stove plus rolling them by hand. It's messy, sticky work, but someone has to do it. And then lick their fingers. Another great one for kids, but be prepared — they're likely to eat half of it in the process. If you love chocolate and don't mind mess, enlist the kids to make Fleur de Sel Bonbons. You can manage a version of these with just a bag of chocolate chips, but you do need a candy mold. These will beat anything you might get in a heart-shaped box at the store, because the kids will have these themselves.